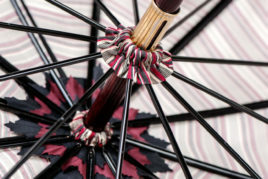 The Parasolerie Heurtault is a unique place, where materials are transformed and shaped into magnificent parasols and umbrellas. 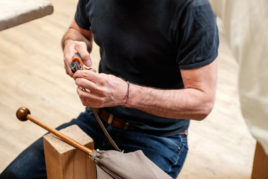 The atelier is also where the techniques and know-how that Michel Heurtault has developed over the years are transmitted and shared with future generations. 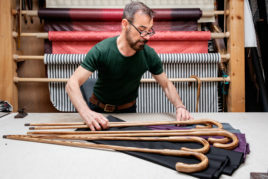 In this magical place, textiles and materials are tailored, stitched, cut and altered to create incredibly complex objects. 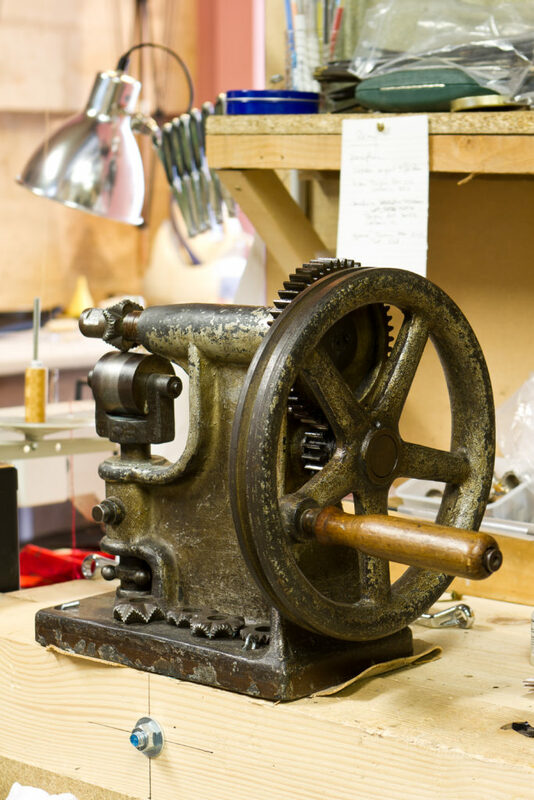 Some of the cutting tools used at the workshop are more than 200 years-old, enabling us to achieve the incomparable aspect of French haute couture. 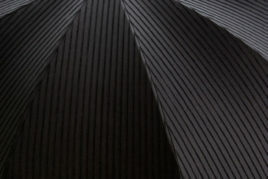 The art of Michel Heurtault’s work is in the detail of the components: the soft and solid steel of the ribs, the softness of the linen, cotton and silk, the sensuality of the woods. 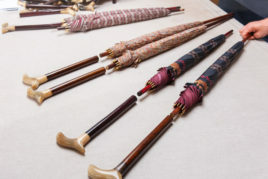 The umbrellas and parasols created in the Parasolerie are unique works of art. 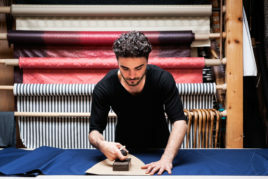 All his creations are done according to the highest standards, using traditional cutting, doubling, connecting, embroidery and finishing techniques. As if creating a Haute Couture dress, Michel starts with a “canvas” and ends with a unique creation. His creations are respectful of the environment and based on biodegradable materials. 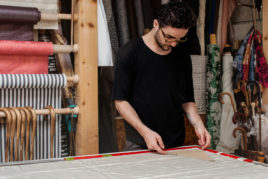 Polyester is banned from his creations and restorations and Michel Heurtault tries to use as little as he can of synthetic and non-biodegradable products, and has banned the use of heavy metals so as to have the smallest impact on the environment. In 2013, Michel Heurtault received the title of Maître d’Art [Master Artist] by the Ministry of Culture, France’s highest honour for an artistic craftsman. It is the French version of Unesco’s National Living Treasures. 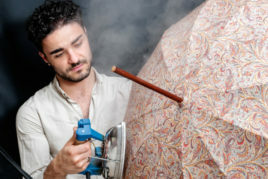 The Parasolerie Heurtault was awarded the Living Heritage Company label in 2011, an award given for companies with “rare, renowned or ancestral skills that draw on a mastery of traditional or technically advanced techniques, and restricted to a particular geographical area”. 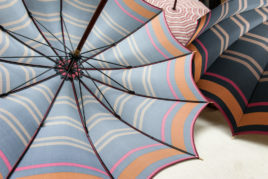 Click here to find out more about how our umbrellas and parasols are created.